Looking for a get-away at Indian Lake? 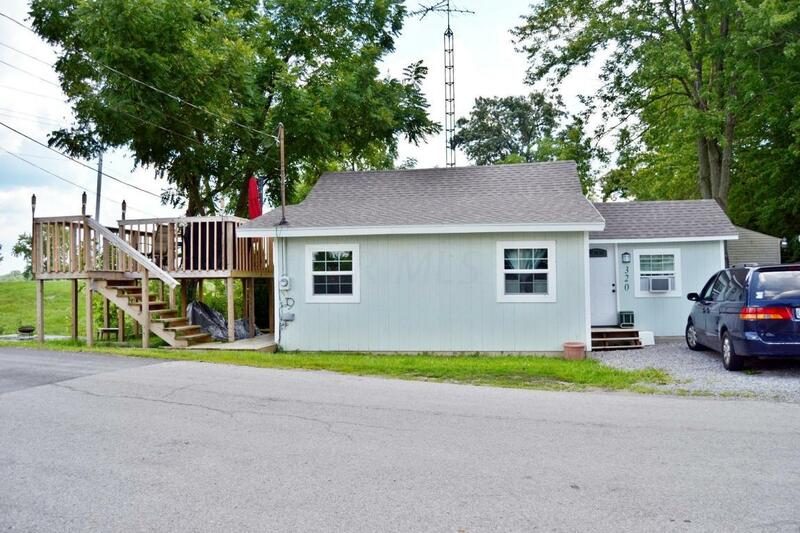 This charming three bedroom, one bath home offers parking for 3-4 vehicles and a party deck with a great view of the lake! Home has many updates inside and out within the last year. New electrical, new roof, new utilities (sewer, supplied water and natural gas lines - gas is capped off). Owners' bedroom features a closet and loft area storage. Stack-able laundry hookup (washer/dryer included) in the bathroom. All you need to do is move in and enjoy! Located nearby the bike path, state park areas, Paradise Island, shopping and eateries.